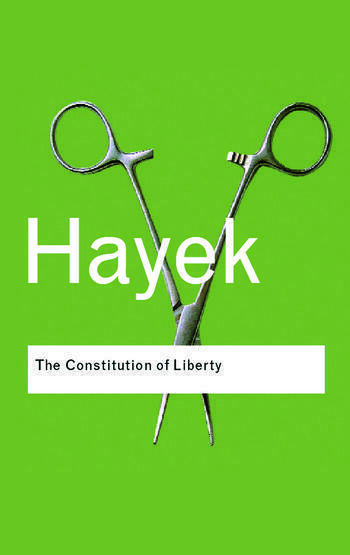 Speaking of Hayek, late last week the libertarian Cato Institute hosted a blockbuster panel on The Constitution of Liberty, which was just re-released. The curiosity of the day was the appearance of Hungarian financier, George Soros, certainly no libertarian, but someone who was around when Hayek and Popper were mixing it up. The panel also contained rock star law professor Richard Epstein, and preeminent historian of economic thought, Bruce Caldwell. Good review of the panel here, and the video is here. I am increasingly pessimistic about the fake nature of Wall Street as part of the capitalist system. It is part of the crony capitalist system. I am ashamed at how long it has taken me to notice this. But once you start paying just a bit of attention, it’s hard not to notice. He then adds fuel to the fire by wondering whether the Bootleggers and Baptists apply to Wall Street generally. Don’t know the Bootleggers and Baptists story? Check it out here. So while Roberts gnashes his teeth, John Cassidy at The New Yorker spills out 10,000 words on the general worthlessness of Wall Street, concluding that most of what it does is socially worthless. This shouldn’t come as too much of a surprise to you: Professor Finkler cites it here and I posted something about it here. We have also seen John Cassidy in the thick of the economics profession here. When I conceived of the “free market Monday” tag, this recent Reuven Brenner article in Forbes is what I had in mind. Brenner is one of the great champions of the idea that access to capital and fluid capital markets are prime drivers of capitalist economies. In this piece, he talks about the importance of risk capital in revitalizing the North American economic outlook. I also recommend Brenner’s Force of Finance for anyone looking for a modern day capitalist manifesto. You can get a good taste of Brenner in his review of Invention of Enterprise. Regime Uncertainty: Did the New Deal End the Great Depression? There is a continuing debate, as you must know by now, as to whether Keynesian fiscal stimulus is an effective macroeconomic policy tool, especially with the US economy stuck in its current doldrums. There is probably no bigger detractor to this idea than Robert Higgs of the Independent Institute. Many on the Keynesian side say the $750 billion fiscal stimulus wasn’t big enough. Higgs argues that the whole Keynesian paradigm is out of whack, that, in fact, more robust governmental involvement in times of a crisis creates pervasive uncertainties for the private sector. This “regime uncertainty,” whether it be from potential tax increases or other regulatory hurdles, shakes investor confidence and stifles capital formation. Who is going to play a game when the rules of the game are subject to potentially radical change? Those of you who have taken Economics 240 might recall Higgs’ “ratchet effect,” but he is perhaps better know for this regime uncertainty idea. Higgs forwarded some of these arguments in the Journal of Economic History, and has recently bolstered it both in the Independent Review. He doesn’t see this as a unifying macro theory, but more as an element that is generally ignored (or ridiculed) by many macro theorists. You can also catch Higgs talking about these issues with Russ Roberts on EconTalk. To Mr. Galenson markets are what make the 20th century completely different from other eras for art. In earlier periods artists created works for rich patrons generally in the court or the church, which functioned as a monopoly. Only in the 20th century did art enter the marketplace and become a commodity, like a stick of butter or an Hermès bag. In this system, he said, breaking the rules became the most valued attribute. The greatest rewards went to conceptual innovators who frequently changed styles and invented genres. For the first time the idea behind the work of art became more important than the physical object itself. It’s an interesting topic, especially for those interested in innovation and the arts. You might consider checking out Galenson’s book, Conceptual Revolutions in Twentieth-Century Art (available at The Mudd), for a fuller explication. You can read a summation of his argument over at my favorite clearinghouse, VoxEu, or yesterday’s piece in The American. This might be a good I&E Reading Group selection or a building block for an independent study. The Wall Street Journal profiles one of the standard bearers of Austrian economics, Pete Boettke of George Mason University, who blogs at Coordination Problem. The title of the piece is is “Spreading Hayek, Spurning Keynes,” so you know where he’s coming from. This, of course, is a topic we have touched on before. The blog wasn’t always called Coordination Problem, either. The resurgence of Austrian economics does have its hazards, Mr. Boettke says. The antigovernment fervor on cable-television shows and the Internet may have popularized its theories, but it also “reinforces the idea to critics that these are crackpot ideas,” he said. He has tried to distance himself from conspiracy theorists and even dropped “Austrian” from the name of his blog. But he hasn’t yet thought of a better term. If you are unfamiliar with the Austrians, here’s Bottke’s description of Austrian economics at The Library of Economics and Liberty. We also have Israel Kirzner’s take from the New Palgrave Dictionary of Economics, available from campus IP addresses (thanks to the good folks over at The Mudd). Kirzner is an especially important thinker about entrepreneurship, so those of you interested might take a peek at what he has to say. You might also check out Peter Klein’s The Capitalist and the Entrepreneur, which is some of the most mature work fusing the Austrian school with transaction cost economics. The air temperature here in Wisconsin has settled down to humane levels, signaling the school year is nigh. So, to kick off our Free Market Monday, let’s check in with Guy Sorman at the City Journal on the origin of our current financial crisis. Sorman interviews many of the heavyweights — Calomiris, Fama, Zingales, Cochrane, Taylor, and a host of others (including James Hamilton at EconBrowser, who I’ve never thought of as a “free marketeer”). If you recognize some of those names, it is clear that the emphasis here is mainly on the role of the financial sector. Every economist I interviewed agreed that ballooning American and European debt poses a huge threat to long-term prosperity. The debt will be paid either through inflation, which would make everyone poorer, or—a far better scenario—through economic growth that would increase both individual and government revenues. Unfortunately, by increasing taxes and imposing the wrong regulations, Western governments are hindering entrepreneurship and hence growth, Cochrane says. Ah, entrepreneurship and growth. It’s all coming back to me now.